Campaign Update – It’s Go Time! The campaign is on – and we’re excited! Thank you for signing up to receive our updates! We are so excited to be extending our reach, connecting with our community, and building a team to make sure we can make space in our neighbourhoods for everyone. This summer, Grace hosted a table at the weekly Picot Night Market. These evenings were an incredible opportunity to talk to neighbours as they browsed beautiful, local goods. Coffee gatherings, playground parties and kitchen-table politics have also helped us to meet more people where they’re at and to hear what folks want and need. We’re still featuring the friends and neighbours that make our city great. Keep an eye on Grace’s social media pages for Friends and Family Fridays. 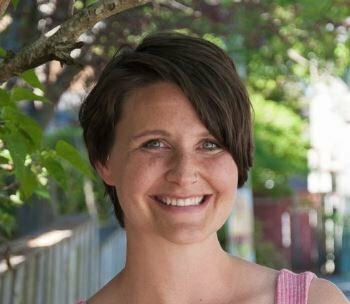 Housing, childcare, mental health and addictions treatment, urban food, biking – we’re telling the stories of #yyj. The faces and names help us understand the work that needs to be done – we need action and change. Victoria cannot wait. August is over, September – and the back to school grind! – is here. Just 46 days to go until the election! Grace has been busy collecting nomination signatures from renters, homeowners, community leaders, business owners, volunteers and advocates. 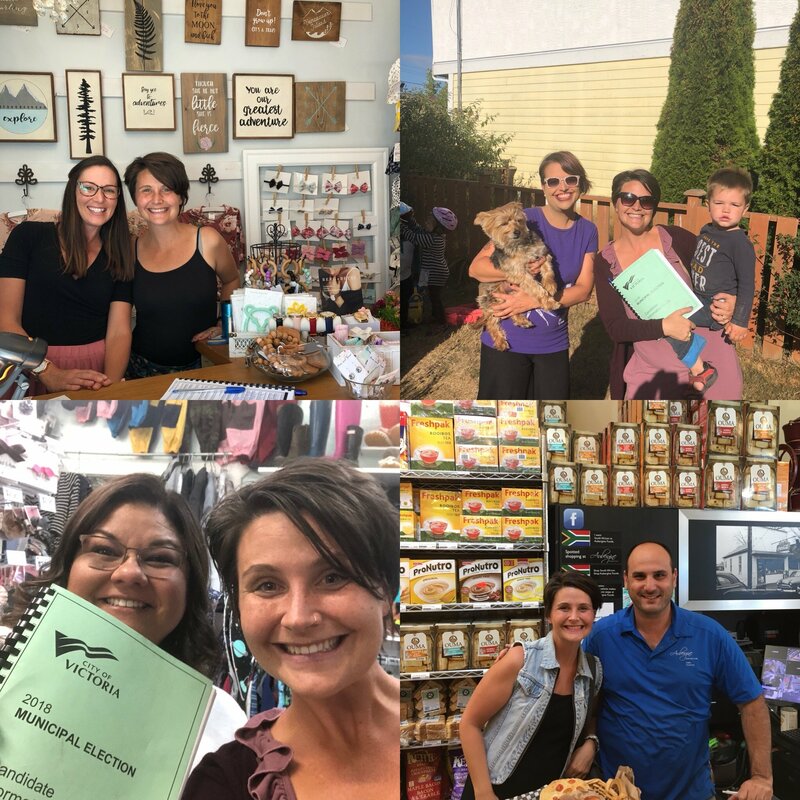 Grace’s nominators include a fellow volunteer on the Victoria Sexual Assault Centre emergency response team, the business owner of the accessible, environmental, and ever-stylish Ten Fifteen Beauty Bar, students, and more! We need your help – democracy is a team sport. Can you help us? 1. Please consider volunteering! We need people who are willing to talk to their friends and colleagues, door knock in their neighbourhood, and help us get signs around the city. 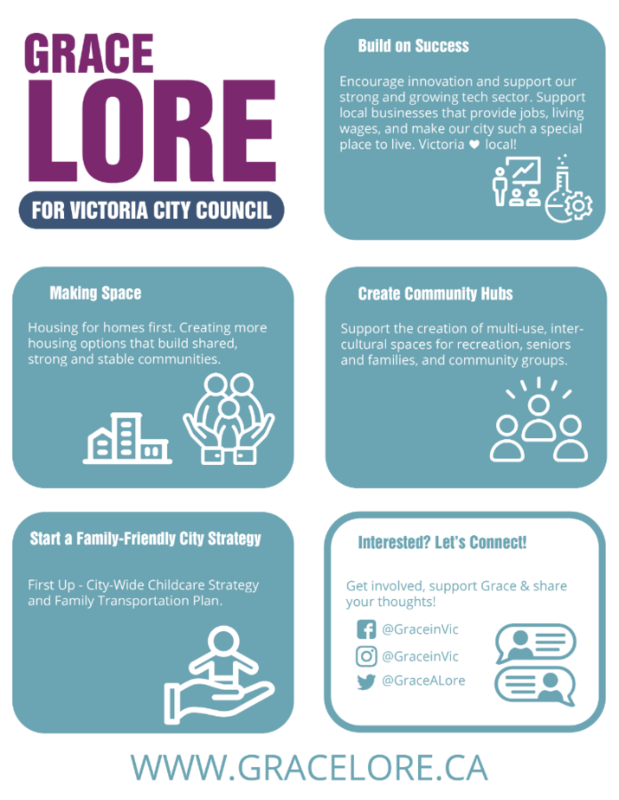 Email graceforyyj@gmail.com to join us! 2. Donate! Man, oh man, these campaigns cost money. Getting out the word out about Grace costs a pretty penny – we need to purchase our signs, buttons, leaflets, and media. Any amount helps. gracelore.ca/support. 3. Take a lawn or window sign! Show your love and help others learn about Grace with a lawn or window sign. Know others who might want one? Help us find home for all our signs! 4. Host a coffee! We want to meet your neighbours and friends. We want to hear what you want, what you need, and how you envision your community. Grace wants to tell you about her ideas and the concrete action she thinks can help us more forward as a city. 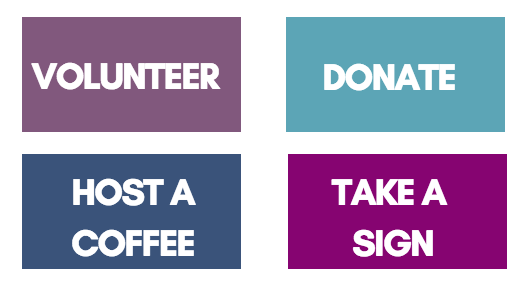 To get a sign, volunteer, or plan a coffee party, email graceforyyj@gmail.com.